Today I’m lucky to have a tutorial by Kersten of Frozen Knickers. 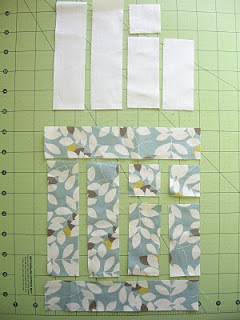 She’s going to show you how to make the blocks for this hip little quilt. Which looks very honeybun friendly for all you honey-bunners out there. Thanks Kersten! I am so excited to be guest posting on Cluck. Cluck. Sew. today. 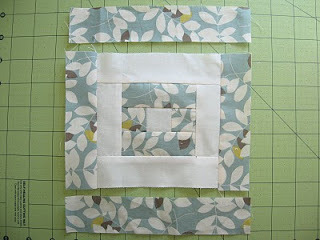 Today I am going to show you how to make this Bullseye block. There is a lot of pressing so if you are one of those people who likes to get a workout while you are crafting this is TOTALLY. FOR. YOU! If your not one of those people, keep your iron close. 1. 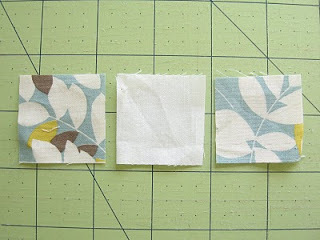 Stitch the two printed 1.5″ pieces to the sides of the 1.5″ neutral piece. Press seams toward the print. 2. Stitch the two printed 3.5″ strips to the top and bottom. Press seams toward the print. 3. Stitch the two neutral 3.5″ strips to the sides. Press toward the neutral. 4. Stitch the two neutral 5.5″ strips to the top and bottom. Press toward the neutral. 5. Stitch the two printed 5.5″ strips to the sides. Press toward the print. 6. Stitch the two printed 7.5″ strips to the top and bottom. Press toward the print. Simple as that. Square up your edges, add batting and backing, quilt it, bind it and you have yourself a nice little table topper or hot pad (add extra batting). 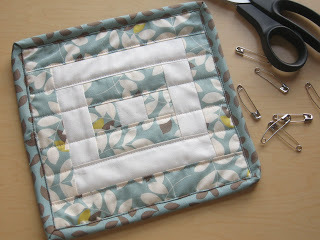 To make a Reverse Bullseye (so the center square is a print and the outside strips are neutral), just switch the neutral and print measurements and order. Assemble using the same directions. Want to turn it into a baby sized quilt (approx. 35″x42″)? Make 15 Bullseye and 15 Reverse Bullseye blocks. Alternate between the two blocks. Six rows with five blocks in each. 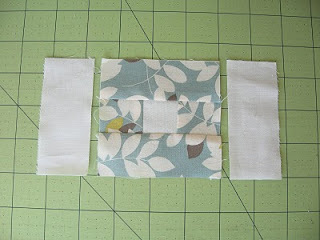 Update: Kersten just added these fabric requirements for making the baby quilt…. 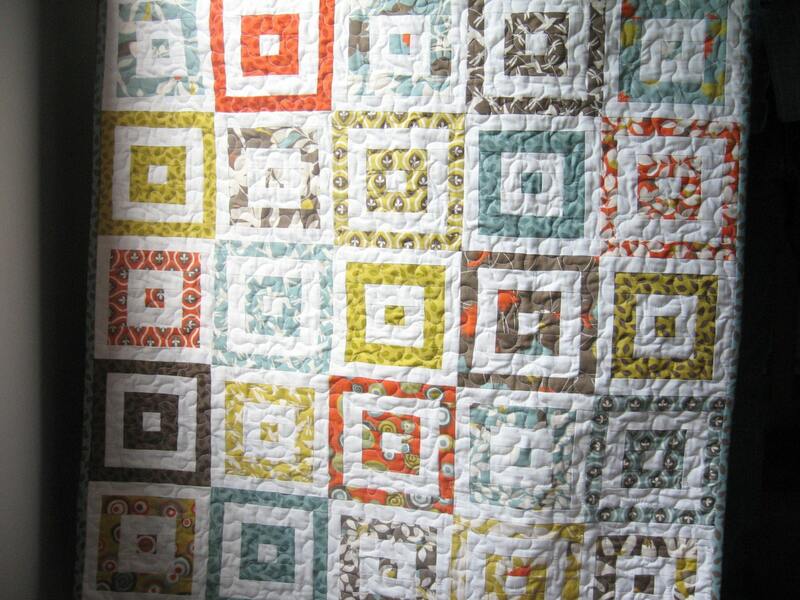 I love the look of this quilt — simple and graphic. Just my style! I may have to give this one a try. Thanks for posting the tutorial! LOVE IT! Any way to make this post printer friendly? I would love to make a scrap quilt using this pattern someday! Excellent. I have a few honey buns at home in need of a project. Perfect. Exercising and quilting at the same time! Pretty! Thanks for the tutorial. Does that baby quilt take ONE honey bun?? I don't see fabric requirements as in yardage to start with, that would be helpful. What a wonderful tutorial! Thank you! Wow, I just love this. Thanks for posting this. Very pretty! Thanks so much for sharing. Wow, this is so pretty! Thanks so much for this, I'll be linking. I love this! I have an Arcadia Honeybun I've been saving/hording trying to decide what to make with it. This is PERFECT! Gorgeous quilt and love the materials. Never heard of a honey bun but now I know. Thanks for sharing. 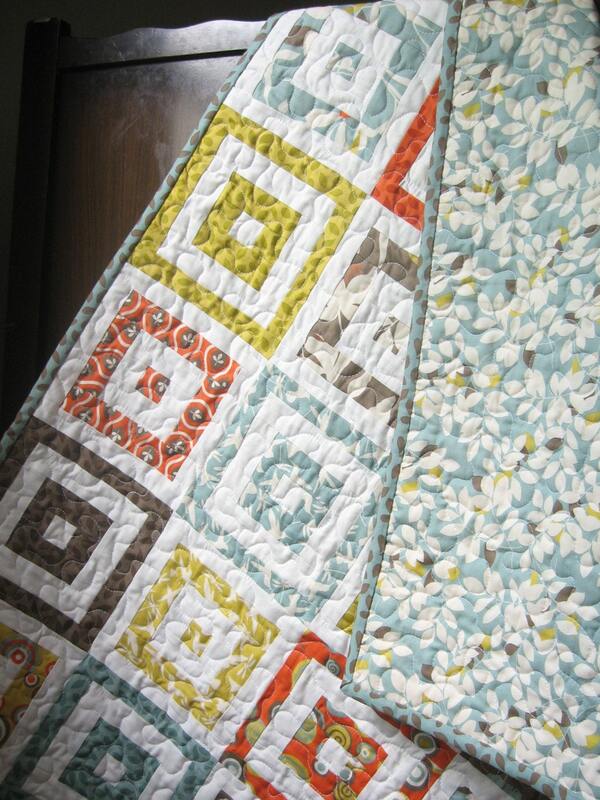 I love the fabrics used on this quilt! Do you know which collection its from? Can you tell tell me the name of this line of this grey/green/teal fabric? Thanks for the update of fabrc requirements!!! Thanks again for this great tutorial and I love your blog ! This is so, sew, adorable! Have a super day!